If you recall, I started brewing some coffee kombucha a few weeks ago. I tried it today and will definitely be brewing some more. 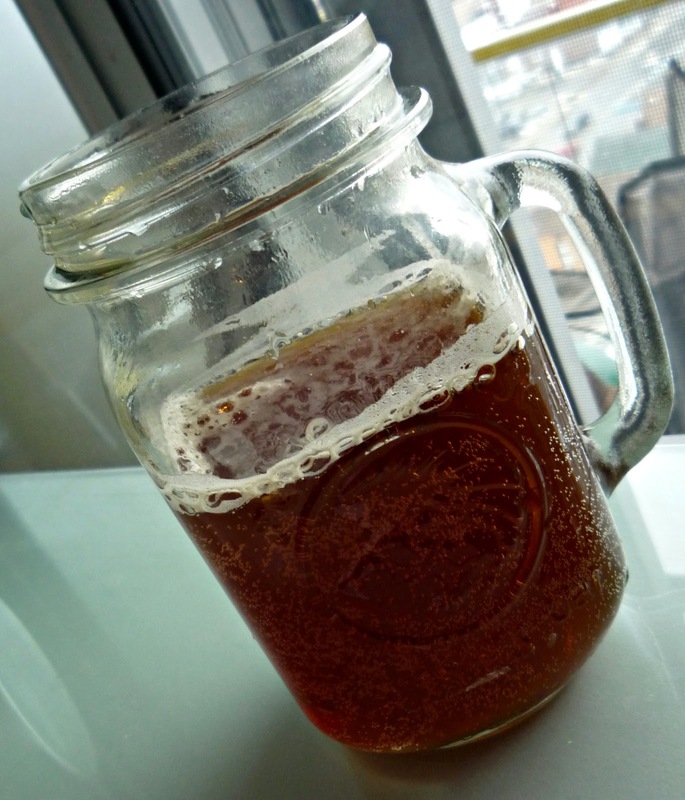 Coffee kombucha has a strong coffee smell but a changed, lessened coffee flavor. It's really hard to explain. Coffee Kombucha seems a little like a sweet/sour candy. It's sweet and regular coffee like while at the same time being tart and a little fermented. I drank my coffee kombucha with ice and soymilk - which curdled in a weird way. Have you tried Coffee Kombucha? Yes I have.. Therre is a fellow at our Beaverton, OR farmers market which is brewing and selling a sprouted coffee bean buch'. It is so so so good.